Onward of Ito 1923 Gaff Cutter Itchen Ferry. 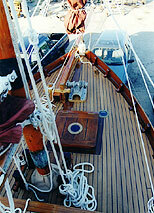 Complete	restoration	by	Traditional	Sail	2000. Traditional Sail is set in a working boatyard on the Salcombe Estuary with slipping and launching facilities for boats up to 30 tonnes. Located in an area of outstanding natural beauty we offer some of the most sheltered waters and facilities in the Westcountry. Joan, 1921. 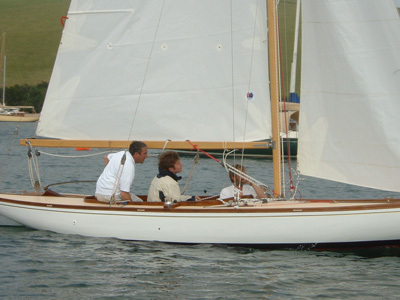 Hardey Simpson designed Salcome 'A' Class (formerly called the Salcome 'J' class), built by A Chadder Blank in Salcombe. A rare example. 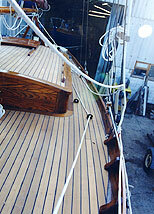 Currently undergoing complete restoration to be launched in Spring 2005. Come back soon to follow her transformation. 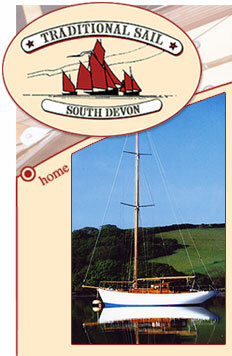 We are a family run business with many years of wooden boat restoration and building experience. 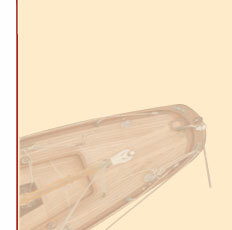 Justin Soole and his father-in-law Peter Rumbelow work alongside a talented team of boatbuilders and craftsmen. We have undercover storage facilities for vessels up to 60' and offer free storage whilst work is being carried out. We are always able to arrange a mooring on the estuary if we are working on your boat. The yard has a full engineering and electronic service on site and as part of our service to clients we can collect and trail boats up to 2 tonnes or arrange transportation to our yard for larger vessels - all at very competitive prices. Our skills are adaptable with a range of traditional and modern methods available for restoration work or new builds. 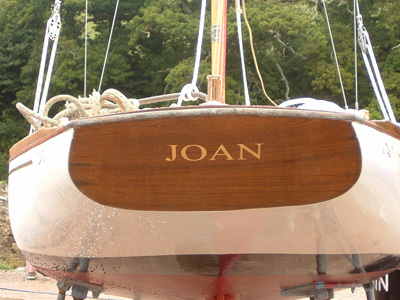 Find out how versatile our team of boatbuilders and craftsmen are by looking at our past and present projects or follow our ongoing restoration project as she takes shape. We also have a wealth of experience in dealing with insurance claims from complete re-builds to small accidental repairs. The machine workshop produces fine yacht joinery and can also supply traditional materials and offer a machining service. From hatches to skylights, deckhouses to full interiors you can rely on our quality workmanship. 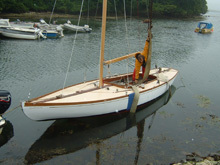 Some of our past projects have included renewing the centerline of a Fairey Super Swordsman motorboat, complete fit out of a 27' Salcombe Trader yacht and laying new traditional Teak decks to 40' Bermudan Cutter built by W. Fife and Son.